Model 9950 MightyFlare Stick™ Cone Kit for Traffic Cones with large Top Holes up to 1-1/2'' in diameter includes (6) Model MFCA LED Road Flares with (5) Flash Patterns, (4) Intensity Settings & Magnetic Bases in a Red Nylon Pouch. Each light includes includes ''AA'' Batteries. 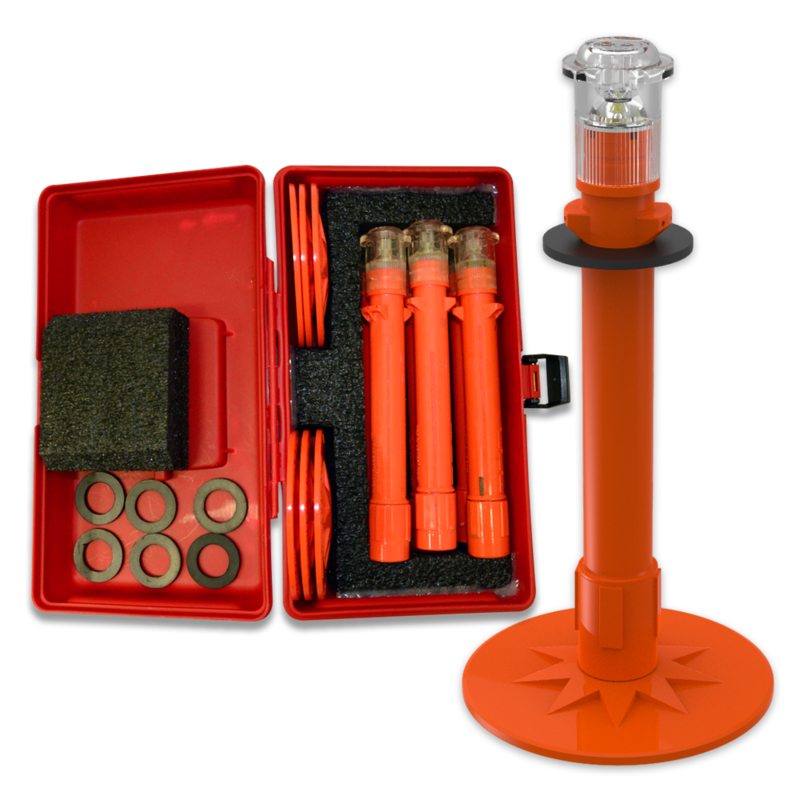 Model 9900 MightyFlare Stick™ Cone Kit for Traffic Cones with large Top Holes up to 1-1/2'' in diameter includes (6) Steady Beam Model MFCB LED Road Flares with Magnetically Attached Bases in a Red Plastic Carrying Case. Each light includes includes ''AA'' Batteries. Model 9940 MightyFlare Stick™ Cone Kit for Traffic Cones with large Top Holes up to 1-1/2'' in diameter includes (6) Model MFCA LED Road Flares with (5) Flash Patterns, (4) Intensity Settings & Magnetic Bases in a Red Plastic Carrying Case. Each light includes includes ''AA'' Batteries. 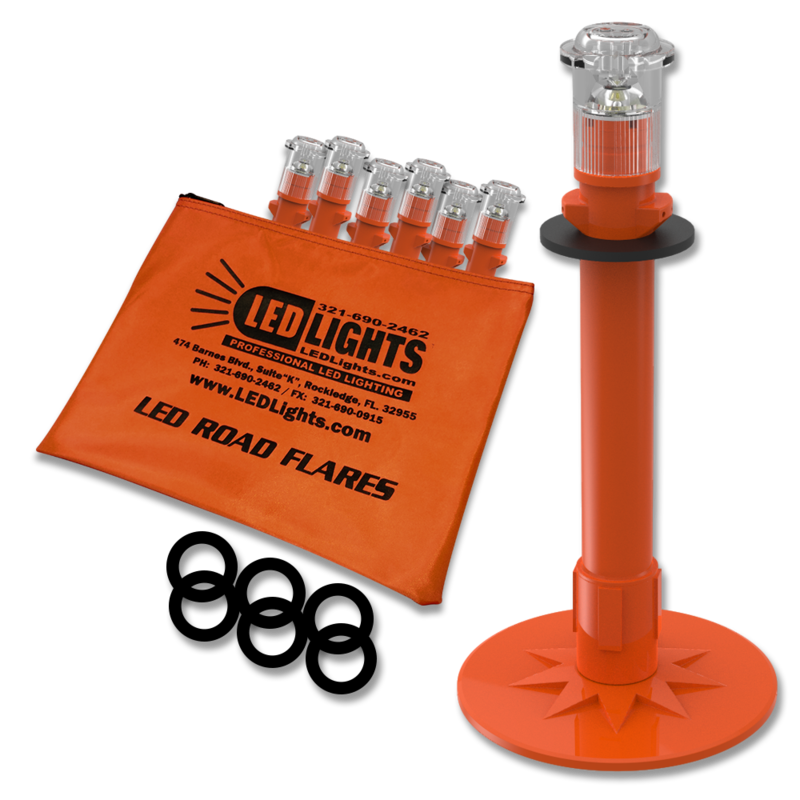 Model 9910 MightyFlare Stick™ Cone Kit for Traffic Cones with large Top Holes up to 1-1/2'' in diameter includes (6) Steady Beam Model MFCB LED Road Flares with Magnetically Attached Bases in a Red Nylon Pouch. Each light includes ''AA'' Batteries.